I published my first blog post on TheContentBug.com on December 13th, 2016. Before my blog was even launched. Heck, before my blog was even finished being designed! I wanted there to be content on my website when it officially went live. So I launched a couple of blog posts so people had something to look at besides the ‘Home’ and ‘About’ pages. Looking back at those blog posts, I laugh. At the time, I thought I knew a lot about blogging. And I honestly believed that my writing was pretty amazing. But compared to now, it’s almost a joke. I enjoy looking at back some of the first stuff I’ve done. From my first blog post, to my first Instagram photo, and my first YouTube video. Although they are comical to me at this stage in my blogging game, I was really proud of them at one point. And I felt confident enough to put that content out into the world. And I’m darn glad I did! As I’m writing my 100th blog post, it’s 9:11 at night (I keep seeing 11’s today!) and I’m laying in bed with Fancy waiting for Alex to get home. This is the dream job. Maybe not to be working so late. But that was actually my choice! It’s not like I had to work late just to get this done. I decided to work in bed because I was drawn to write tonight. So here we are. I wonder where you are right now. What you’re doing. Why you’re reading this blog post. And what drew you to me. If you care to share, I’d love to know how you found me on the internet in the comments below! Anyway, let’s get into this blog post. I thought it would be hard to boil 100 blog posts down into my top 10, but I decided to do it probably the most logical way possible. 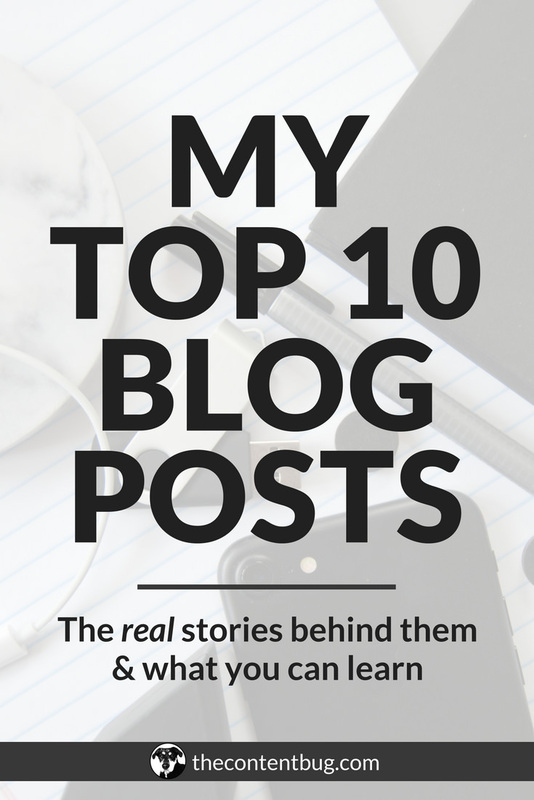 I looked at the blog posts that had the most shares, the most comments, and the most visitors. And from that starting point, I picked the ones that you guys seemed to like the best. Then I looked at the ones that I think were the most informative and impactful. So let’s start with number 10 and work our way to the top. Which actually really surprised me! When I wrote this blog post, I thought it was going to be one of my best posts. And in terms of writing, it 100% is! But when you look at the engagement, it’s nowhere near where it should be. 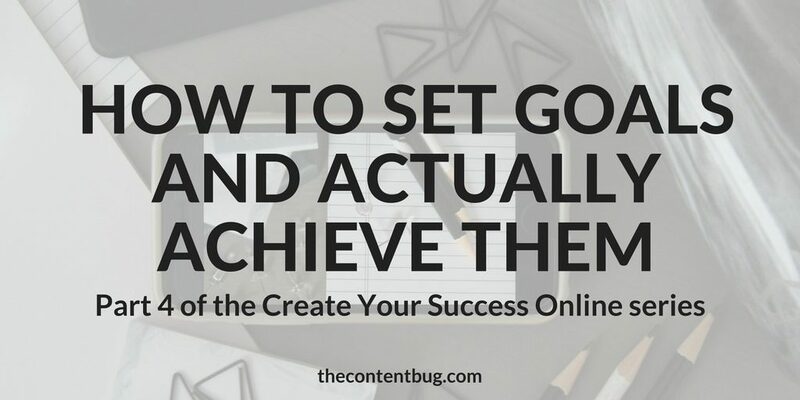 If you’re looking for a guide to help you set realistic, yet challenging goals for yourself while also learning how you can actually achieve all of the goals you set for yourself, then this blog post is for you! I’m a big fan of setting goals. And from the very beginning, I’ve set big goals for myself. A lot of goals that people thought I would never achieve. But I did! So I wrote this blog post as a guide for people who want to improve their goal setting and achieving skills. When I first launched this post, I received a lot of amazing feedback! I got probably the most direct messages because of this blog post. But since then, it’s fallen in the shadows. So let’s bring it back! Okay? As soon as I launched this blog post, it was a big hit. I wanted to write this blog post for a long time. But I didn’t think you would be interested in it because it wasn’t a list of tips or actionable steps. But when I decided to actually write the post, I did include some pretty important tips if you want to grow an engaged audience. 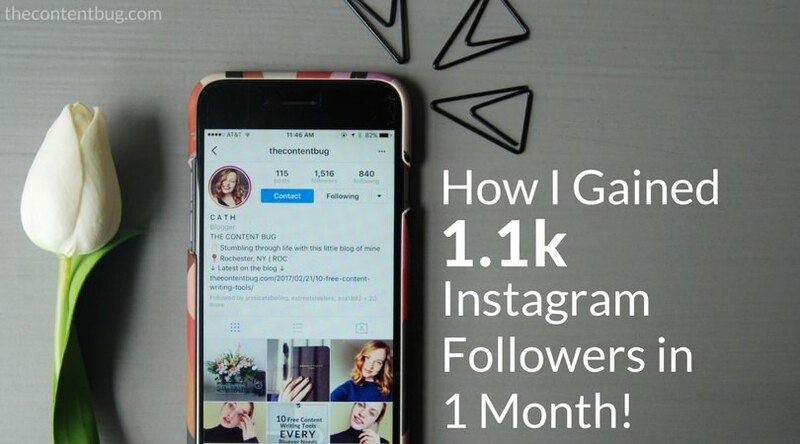 A long time ago (over a year ago), I wrote a blog post about how I grew my Instagram account by over 1 thousand followers in a month. 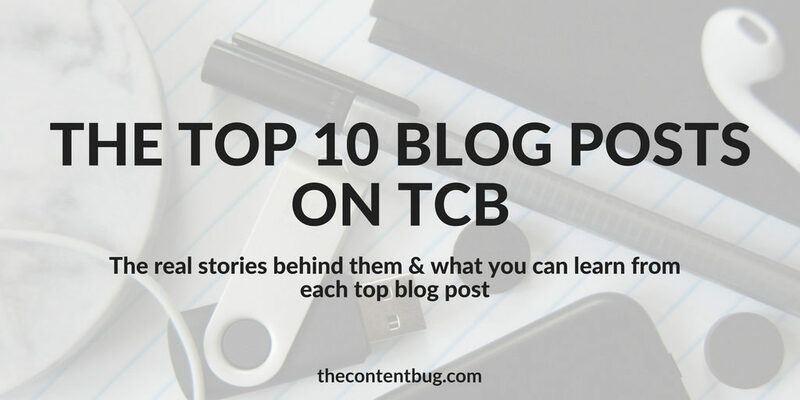 And that blog post is on this list! But since I launched that post, I’ve stopped trying to grow on Instagram for a couple of reasons. 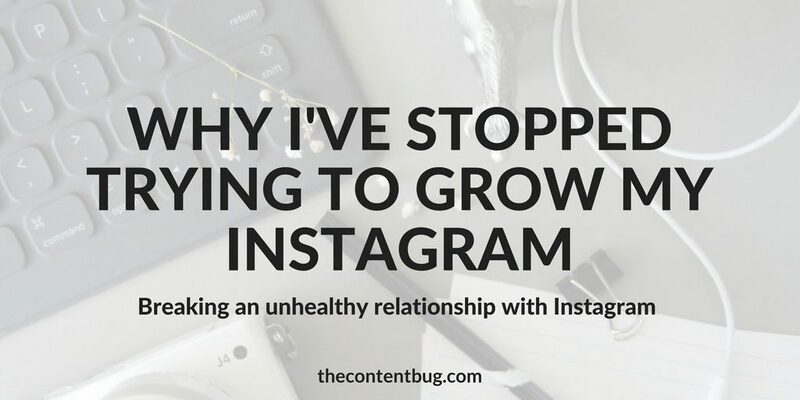 So if you want to find out more, this blog post goes all into detail about my unhealthy relationship with Instagram, the follow-unfollow rule, and the constant chase for more followers. This is another relatively recent blog post, but one that’s had a large impact on my readers. Just a few days ago I received an email from someone saying that this blog post resonated with them. 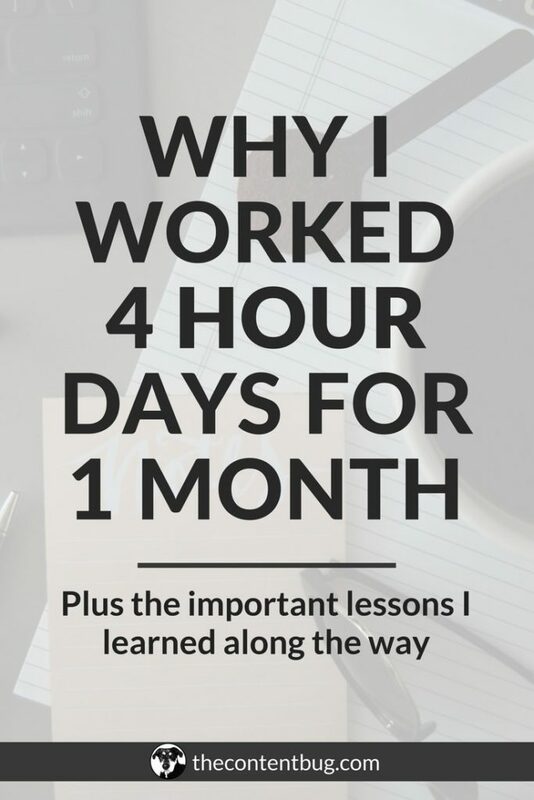 And every time I get an email about this blog post, it makes my heart so happy because when I started out, my blogging strategy was all over the place! I wish I would have had a resource like this to help me find some clarity in what I was doing. And that’s exactly why I wrote this blog post. 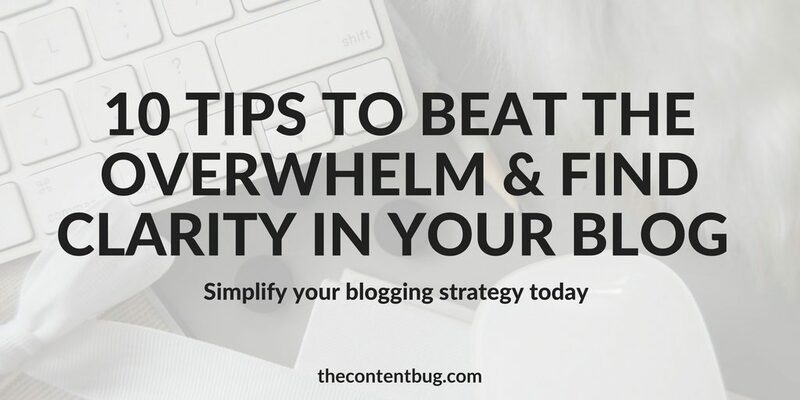 So if you’re feeling a little overwhelmed and you want to find clarity and direction with your blog, these 10 tips may just change your life! 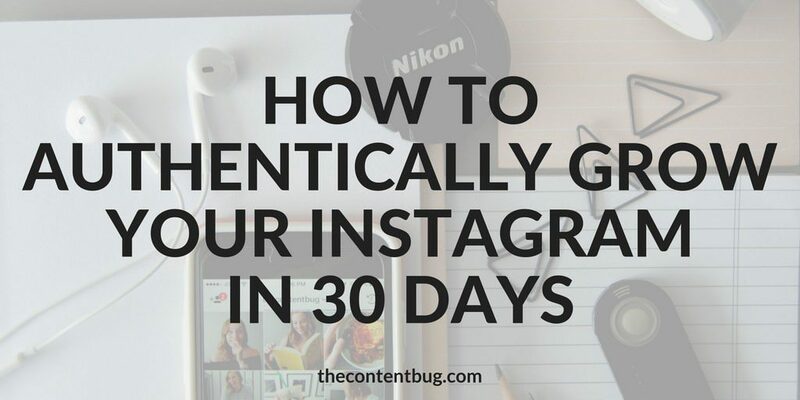 After the success of the blog post I wrote about gaining Instagram followers fast, I knew that I had to find a way to capitalize on the traffic I was receiving. And at the time, the opt-in that I was using, wasn’t cutting it. So I decided to create the 30 Day Instagram Challenge. 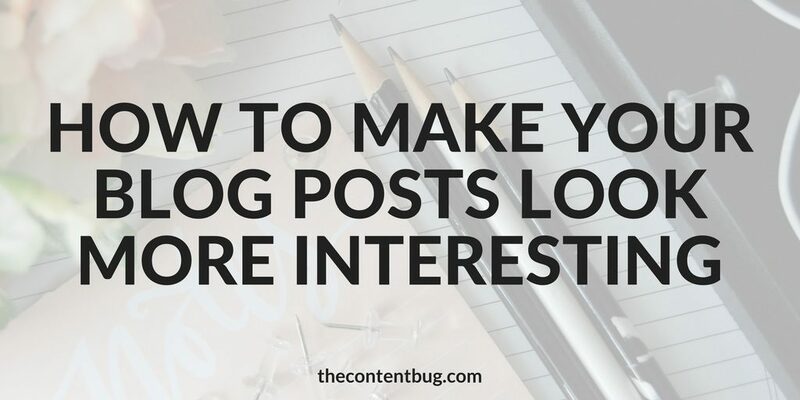 And with the launch of anything new and exciting, it’s important to write a blog post on it so it can have the most impact! That’s exactly where this blog post comes into play. I noticed that too many people on Instagram were using shady tactics to grow their account. They just wanted the number of followers. They didn’t actually care if they were the right followers. 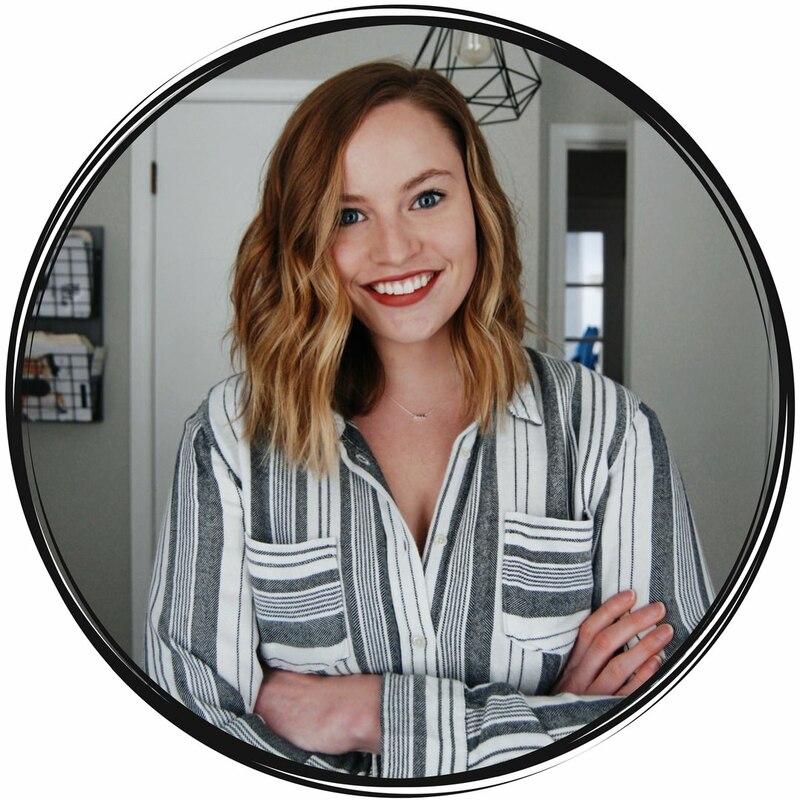 So I figured, why not do something about it and teach bloggers how to grow on Instagram in an authentic way! And if that’s what you’re looking to do, then maybe this blog post or the Instagram Challenge is right for you. When I was getting started on Pinterest, I wanted to know how some pins had titles on them. So I went to Google and searched: “How to add titles to your pins on Pinterest” and I was confused there wasn’t a headline that answered my question! Everything went straight to talking about Rich Pins. But at the time, I had no idea what that meant! So once my research was complete, and I learned how to add titles to my pins, I decided to write a blog post about the process. And instead of using the fancy term “Rich Pins” in the title of the blog post, I kept it real and thought about what people would search. 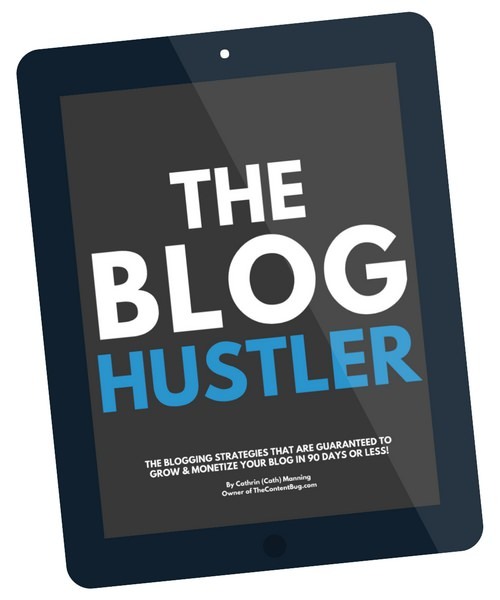 This blog post is actually in the top 5 when it comes to my most trafficked blog posts. And with 16 comments, I’d say that it’s performing pretty well. 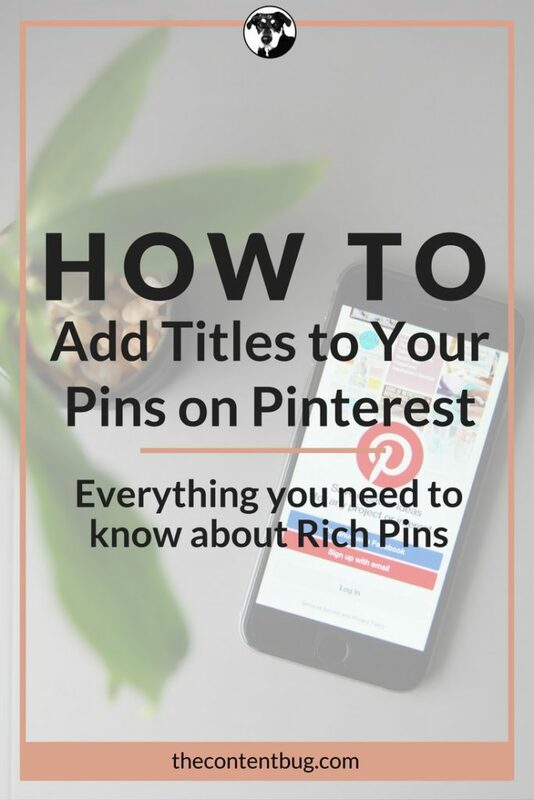 So if you are new to Pinterest and want to learn more about Rich Pins & how you can set them up on your website, this is your go-to resource. I wrote this blog post before I started creating Twitter/Facebook graphics for each blog post. That’s how dated this guy is! Ahhh. Now we’re in the top 5. This is the big leagues! It’s pretty funny how this blog post came about. 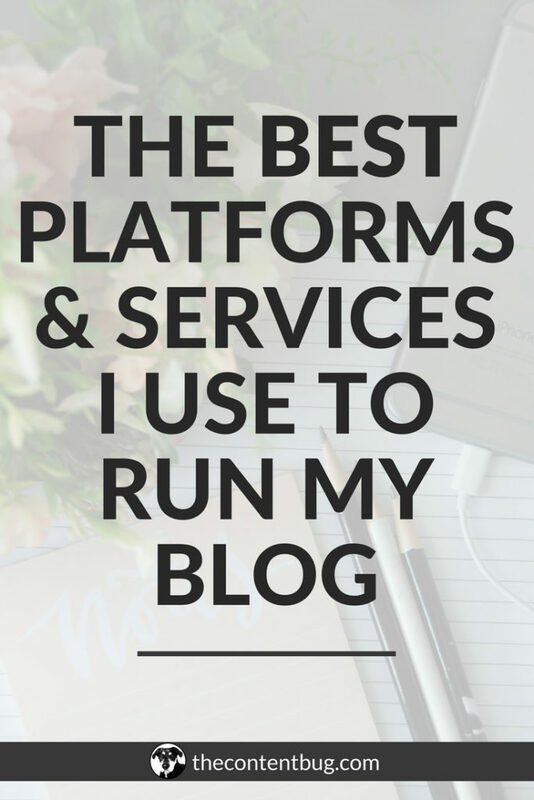 I was in a point in my blogging journey where I was comparing myself to everyone! And I would read other bloggers’ blog posts and I always thought that they looked so interesting. Then when I went back to my website, I was sad with how mine looked. 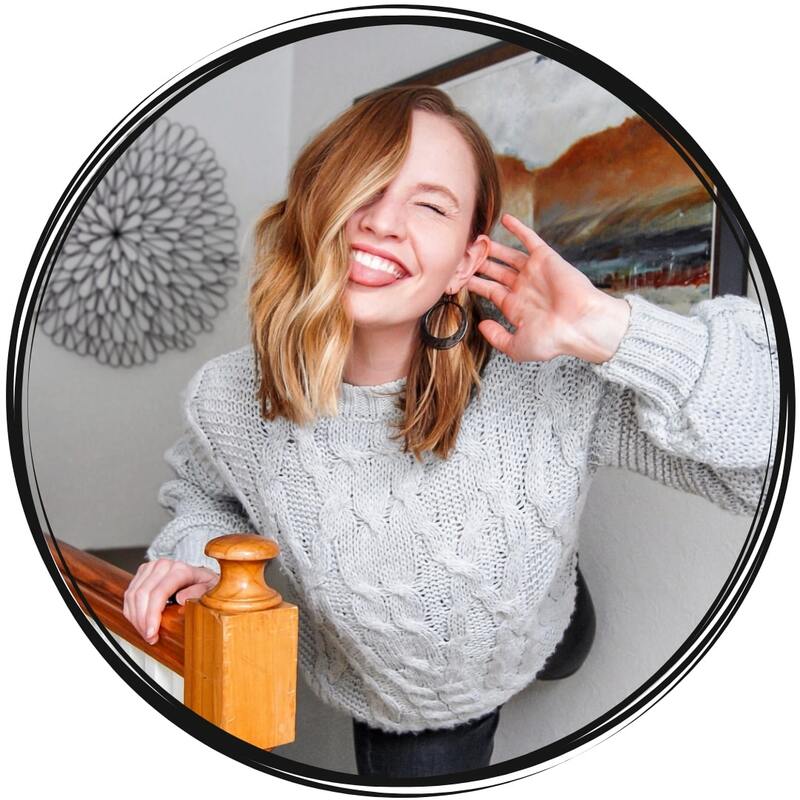 So I decided to draw inspiration from some of my favorite bloggers to see what they did to make each post look more entertaining and enjoyable. Then I made some changes to the way I wrote my blog posts. And almost instantly, I noticed a positive difference in the engagement of my posts! So I did what I do best, I wrote about my experience sharing my best tips on how you can make your blog posts look more interesting. You wouldn’t think that this blog post would be so high up based on those statistics. But this blog post is actually my top performer on Google! And it is the 3rd top blog post in terms of driving traffic to my website. So it definitely deserves a spot in the top 5. 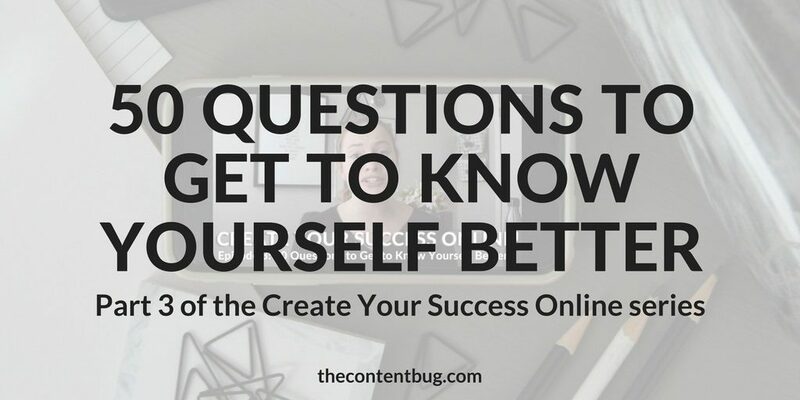 I wrote this post shortly after launching the Create Your Success Online Series. I wanted to address the importance of self-awareness and staying true to who you are. But I remember a point in my life where I didn’t know who I was. And I wanted to learn more about myself. So I figured why not come up with some questions to help my readers get to know themselves. And after some brainstorming, I ended up with over 50 questions. So I narrowed it down to exactly 50 and published a list. Now, this blog post may not have a lot of shares, but it gets a ton of views. And if you guys like it… then it deserves to be in spot number 4! At the end of 2017, I wanted to write a blog post to document how much I had invested/spent on my blog during 1 year. I mainly wrote this blog post for me. Almost like an income report but the other way around. What I didn’t expect was that this post would go viral and receive tons of traffic in the first few weeks of launch. People seemed to love this blog post! Maybe it’s because they wanted to know what they were getting into before starting a blog. Or maybe it’s just because you guys are a little nosey. Either way, I don’t mind! I’m the type of person that loves to know all the behind the scenes stuff that most people don’t share. And this blog post is just that. 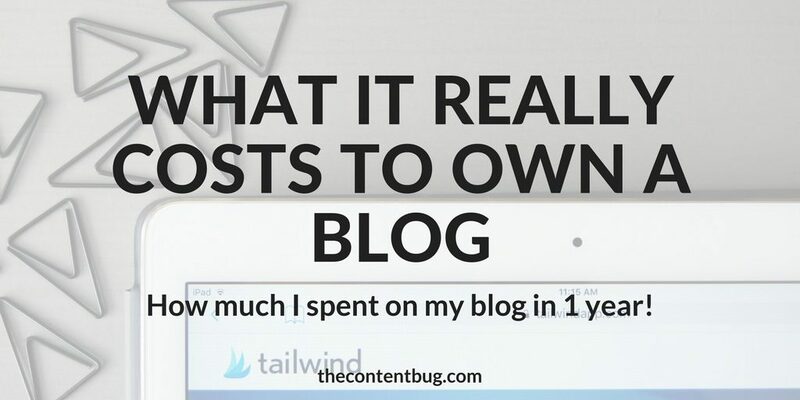 You get a real depiction of what it costs to own a blog. 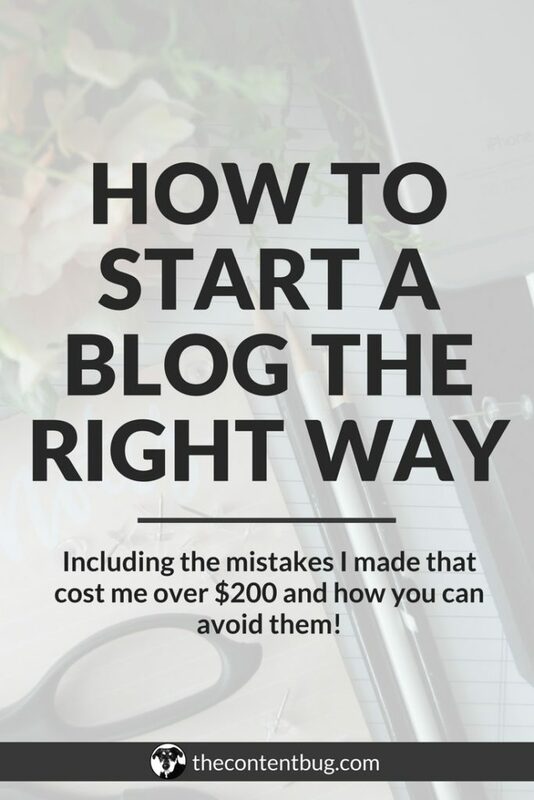 Because those posts on Pinterest that tell you that you can start a blog for just $4 are lying to you! I really didn’t want to include this blog post on this list. Yet it’s holding strong in the #2 spot. When I wrote this blog post, it was mainly just my February 2017 monthly report. I talked about everything that happened that month. Including how I grew my Instagram by 1.1k followers. But that was just a very small section of the blog post. And before I knew it, this was my first blog post that went viral. It started to gain some real traction on Pinterest. And to date, it’s still my top clicked on pin. So after I noticed it was performing well, I decided to revamp and rewrite the post. But in all honesty, I’m still a little bit embarrassed by this blog post. Out of all the ones to bring a decent amount of traffic to my website month after month, I wish it wasn’t this one. So there you have it. My truest thoughts on this blog post! If you want to know how I did in fact gain that many followers in a month, you can check out that post. But just know that there are some better ones on this list if you actually want to grow on Instagram! 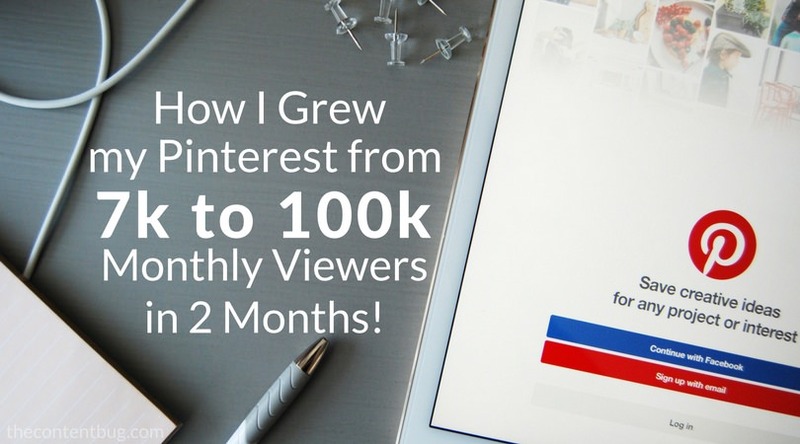 And the top blog post I’ve ever written goes to How I Grew My Pinterest From 7k to 100k Monthly Viewers on Pinterest. This is the blog post with the most shares, the most comments, and the most page views on my website. And rightfully so. This blog post has changed the Pinterest game. And it’s really helped people to grow their Pinterest accounts faster than they thought possible. It’s pretty crazy actually. But I’ve received an insane amount of praise for this blog post. For writing something so informative for free. For not trying to land a sale or lead to someone else’s paid product. Just for sharing some cold hard facts about how to improve your visibility on Pinterest. This blog post deserves it. Because it is a beast in the blogging world and deserves a gold medal in my mind. If you haven’t checked out this blog post yet, I recommend that you do it. It’s filled with information that people are soaking up and will continue to soak up as time goes on. As a special thank you for following my journey and supporting me through 100 blog posts, I’m hosting my first ever giveaway! If you’ve been following along on my Instagram, then you know that I’m launching my productivity guide & 6-month planner, Big Plans! I’m beyond excited about this new product and you guys matched my excitement when I made the announcement on IG. So I figured, what better to give away than my planner before it’s even launched! And you must comment on this Instagram picture tagging 1 person that either inspires you to blog or just a blogger that you absolutely love to support! The giveaway ends on Thursday, May 24th at 12 pm EST. The winner will be announced before the end of the day on Thursday on my IG stories! So make sure that you follow those 3 simple steps to enter to win my new planner, Big Plans! I just wanted to say thank you, thank you, thank you for supporting me through this journey. When I launched my first blog post, I wasn’t even thinking about making to 100. Now we’re over the hump and counting down until we hit 100 blog posts. So thank you. Without you reading my blog posts and purchasing my products, I wouldn’t be able to do what I do.